The blockchain technological innovation underpinning cryptocurrency, has huge implications for people management forces of the state. To truly realize these effects, you must first understand the complex relations between the state and money, the role of the state in the formation of cash and using money from the government as a management tool. Money is not just a unit of account, preservation of value and medium of exchange, is a state institution who needs to organize, promote and control the people in the state. States have begun to adopt the rules of the financial system in 4th Millennium BC. In Ancient Egypt gold bar installed mass was determined by political authority and was the standard for measuring value is the highest measure of value. The same thing happened in Mesopotamia with silver. Since then, the role of the state in the monetary relationship just grew and strengthened. Coinage of the precious metals has expanded the state's ability to determine the unit of account. By the XI century of our era "free coinage" has become a common practice in medieval England. Free coinage, despite its name, was a service provided by the Crown for a fee. Individuals could bring gold or silver bullion to the mint, where he was transported and given back in the form of coins — penny (pennies). The crown used a penny as a unit of account in which collected taxes and people were forced to either collect a penny, or to coin them in order to fulfill their obligations to tax authorities. So there was a demand for hammered coins, and so established a state monopoly over monetary coinage. In the late 17th century inventory of silver coins in England has fallen dramatically. Military spending grew, and the Crown had much more money than it could cover the tax charges. This prompted the state to create, in partnership with the private sector, the Bank of England is a private institution that has the legal authority to create money in the form of loans to the state. Then, money took the form of banknotes, circulation of which the government could control the process of spending in the community. The crown also created the demand for banknotes, collecting taxes is in notes. It gave people a reason to keep a form of cash, not exchange it for precious metals immediately. The Bank of England received a percentage of that made sense to give him the loan in the first place. Thus was born the Central Bank is a private institution, endowed with legal power to create money in the state. Central banks unite the interests of public authority and private investors in creating a standardized and extensible cash that will be used in the public and private sectors. The gold standard, the former monetary system of the United States, is subject to the same rules. The Federal reserve has promised to redeem dollars for gold on demand. Thus, the "value" of the dollar is reinforced by the commitment of the state be given a fixed amount of gold. In 1971 President Nixon ended the gold standard in the US (for the second time in the history of the country). The detachment of the dollar from gold was the beginning of the era of Fiat cash and floating exchange rates. FIATA currency has no intrinsic value, except for its designation as legal tender by the state. "Bitcoin is not the only currency that has no intrinsic value. The state monopoly of currency such as Euro, dollar and Swiss franc, also have no intrinsic value. It is Fiat currency, created by decree of the government. The history of state monopoly of currency — a history of wild price spikes and drops. Decentralized cryptocurrency perfectly complement the existing system of cash". Federal reserve Bank of St. Louis. The decree States the money was moved from precious metals to secure by law the papers that gave the state exclusive power over currency. With the invention of digital currency based on blockchain we have the opportunity to decouple the institution of money from the public authority and thereby deprive the government the ability to directly use the financial system as a tool of management and control of financial systems in a decentralized network of nodes that control the digital currency networks. Decentralized — the popular term at this time, largely because of interest in the digital currency and the blockchain. But what does it mean? In the traditional financial system we rely on an accounting system of centralized organizations (banks, governments, companies, etc.) to keep track of who owes whom and what belongs to whom. The blockchain centralized books of accounts there. There is no single entity that controls the database, as some PayPal. Instead, the task of maintaining the registry (i.e., the blockchain, the chain of blocks) is distributed among thousands of nodes (hosts, computers), which are formed in the network. Each individual node contains a downloadable copy of the entire blockchain, which is continuously updated with each new transaction. Whenever any data is moved, these nodes are active, while referring to their copy of the blockchain to prevent any malicious activity. When the validity of the transaction evidenced by the consensus of many nodes, the transaction is added to the ever growing blockchain. Instead of relying on a single database managed by a centralized trusted third party such as a Bank, the network distributes thousands of copies of the database among its nodes, so no single weakness, which could use hackers. Even if an attacker takes control of a node intending to change past transactions, he will be able to compromise only a single copy of the blockchain on the site. If this happens, other nodes in the network instantly recognize a compromised node trying to cheat the system and throw a copy of the blockchain. This is a fundamental novelty of the blockchain: the distribution database in a decentralized network of nodes. This cancels the need for a centralized third party, which will confirm the authenticity of the database. Eliminates the need for the trust, and also simplifies the process of transferring money. Instead of relying on the oligopoly of banks and aggregators of payments, in maintaining a distributed registry can participate anyone with a computer and the Internet. The technology of the blockchain also simplifies the process of money creation in the same system. 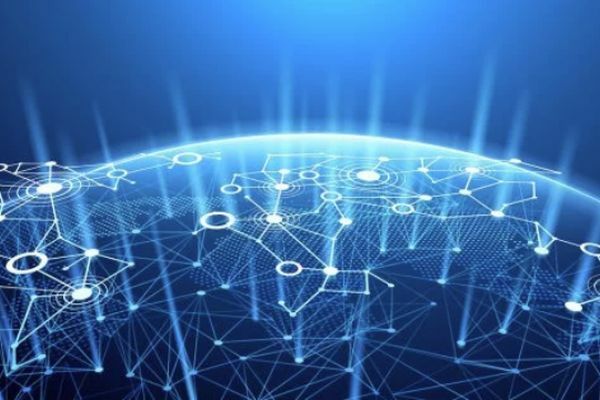 The nodes in the network generate, or "bottom", new bitcoins by providing the computational power of the system: collect the last transaction together and combine them into a new "block" of the blockchain. It consistently is broadcast throughout the network so that each node can validate the authenticity of the transaction in the new block and add them to their copy of the blockchain. Because the components vital to add new blocks to the blockchain, and thus for the processing of new transactions, the system is mutually beneficial and encourages mining. The first advantage that the miner successfully found a new block, receives a reward in the form of currency. The second benefit is that the miner collects fees that go together with transmitted amounts. Since mining requires computational power and energy, the award is intended to reimburse the costs of the miner on the service node and ensure that the network will always be secured computing power to process new transactions. The process of confirming a transaction, as we have already identified, is called "mining". He takes responsibility for the introduction of new money into the economy, takes existing money from governments and banks and gives them to people. Mining also are important to digital currency has gained value. If the production of something needed resources-and that is something will have a value dependent on the value of these resources. If mining did not require the cost of electricity and computing power, that is would be free, then digital currency you could get for free, and hence would be worth it "for free". Of course, no system is perfect, and digital cash based on the blockchain will be no exception. Of concern are on the topic of scalability, high transaction cost, lengthy time transaction processing, traceability, impact on the environment. The price is also very volatile — although this has nothing to do with the protocols of the system. There are also concerns on the fact that the industrialization of mining will lead to concentration of power network in large "farms", which uses special computers designed specifically for mining. The result of this is that, unlike the early days when digital cash could mine on a standard PC today on a home PC is almost impossible, something mined. You need to invest thousands of dollars in equipment to mine and earn. But the concentration of mining power on bilinovich farms leads to centralization of the network, which poses a threat to the asset class with a decentralized nature. Regardless of opinions on the topic of the advantages and disadvantages of unbinding money from the government, the fact remains that this is one of the most important consequences of the technology of the blockchain. However, it is important to remember that this technology is still crude and even somewhat experimental. At the moment it is almost impossible to predict the impact of the blockchain on the management ability of the Central authorities. But the potential of the blockchain to allow individuals to store and transmit values of the controlled state was already recognized in the countries that have problems with the national currency. In Venezuela, for example, thousands of people chose to create and store the digital currency in order to fight hyperinflation Bolivar. In General, the concept of a form of money that exists outside the control of the state, promises more of all, who the state trusts in principle. As soon as the blockchain conquers the world, the popularity of financial instruments on the basis of the blockchain will grow in regions without a strong national currency. The more people choose a blockchain to conduct financial transactions outside the control of state control, the more power it will lose the state for money. Is freedom from financial supervision, which has not happened in the history of mankind. This is a real paradigm shift.